The nature of shopping seems very random – like shopper journeys intertwined in a retail chaos. The reality is our shopping behaviors are quite orderly, consistent, and predictable. Shoppers have innate motivations driving their decision making – think of it like a Shopper DNA. Hosted by Eric Bowe, the author of Primal Shopper, this podcast focuses on the primal motivations driving our shopper behaviors and how to apply this knowledge to improve your marketing. The audience for this podcast are marketers, entrepreneurs, and anyone who is interested in why we shop the way we do. Episode 5: The Marketing Dating Funnel: Who owns the relationship? Every year many people make a New Year’s resolution. Most people are unable to keep their resolution. Why do we fail? Well, we fail to understand the core motivation fueling the habit. This fact is also true for shoppers. Many marketers fail to alter a shopper’s habits, because the are unable to pinpoint their core desire. This podcast is about changing your shopper’s stripes through marketing. I will cover three topics in the podcast: What is the true cost to change our stripes? I will discuss New Year’s Resolutions and the primary reason many of us fail to keep them. It’s not about a resolution, it’s about creating a habit. The key to keeping a resolution is about creating a new habit. I will talk about habit creation based on insights from Charles Duhigg’s book The Power of Habit. Can you change a shopper’s stripes with your marketing? 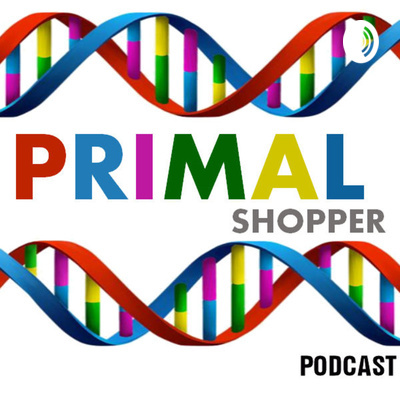 I dedicated most of the podcast to discuss the ability to change a Shopper’s DNA. To move a shopper from their preferred DNA to a different DNA profile that is advantageous to the marketer. I will illustrate how to shift the DNA through examples in discount retail, grocery, and hotel. Show Links: Top resolutions for New Year’s by YouGov https://patch.com/us/across-america/here-are-most-popular-new-years-resolutions-2018 The cost for New Year’s Resolutions from CheatSheet.com https://www.cheatsheet.com/money-career/heres-how-much-the-most-popular-new-years-resolutions-really-cost.html/ The Power of Habit by Charles Duhigg https://charlesduhigg.com/the-power-of-habit/ Changing the Shopper's Stripes for Hotels In this podcast, I discuss how to move a vacation planner from Free Agent to Brand Citizen and then from Deal Seeker to Price Blind. The hotel/resort can significantly reduce the impact of Online Travel Agents (e.g. Expedia, Hotels.com, Trivago) within the vacation planner's journey by changing the shopper's stripes. In the very first episode, I will discuss my journey to discover our Shopper DNA and how you can leverage it to grow market share. How we shop seems random – like shopper journeys intertwined in retail chaos. The reality is our shopping behaviors are quite orderly, consistent, and predictable. We have a natural preference on how we shop – think of it like a Shopper DNA. This Shopper DNA is consistent from shopper to shopper and category to category. My introductory episode will cover the discovery of Shopper DNA with an in-depth look into three core DNA strands: Wallet, Time, and Brand. This DNA affects the ability for an advertiser to grow market share. Our shopper DNA makes up a motivational layer within the retail space. I will discuss how the motivational layer impacts your marketing, and how to unlock the Shopper DNA within the motivational layer to grow market share. For additional information on Shopper DNA, Shopper DNA tests, and my contact information go to PrimalShopper.com.